iOS 10.3 is a major update bringing new file system named APFS, bug fixes and security improvement. Along with this new update, lots of issues are controversial in Apple communities and social media. To summarize, there are two big issues with iOS 10.3 and 10.3.2/10.3.1 update. The firmware package is downloaded, but after verifying it shows "unable to install update" "An error occurred installing iOS 10.3" message. 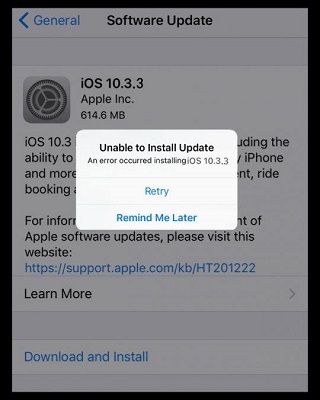 iPhone 5c/5 won't install iOS 10.3 (10.3.1) update. It keeps saying Unable to Install iOS 10.3, An Error Has Occurred. Try to update iPhone 5 to iOS 10.3 OTA, but it says that there was no update needed. iOS 10.3 and 10.3.1 are available for iPhone 5 or newer, iPad 4 or newer, though Apple seemingly ends support for 32-bit devices like iPhone 5 with iOS 10.3.2. If you are running into an error in updating to the new iOS, try the following tricks firstly in order not to lose data on your device. 1. We highly suggest you back up your device before update. 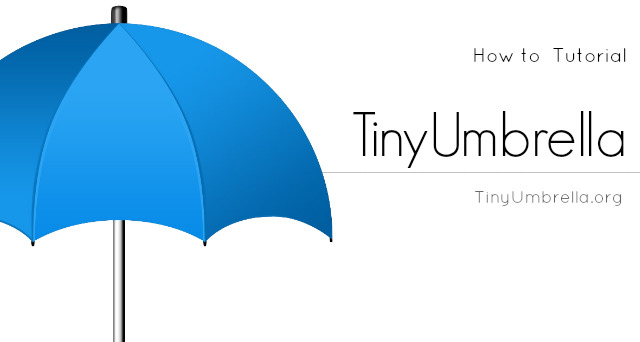 You can backup your device with iTunes or iCloud or use Tenorshare iCareFone to selectively back up important data. 2. If you lost data during or after iOS 10.3, these iOS 10.3 data recovery tricks are of vital importance. Performing a hard reset may fix the update error. Press and hold both the Sleep/Wake and Home (Volume Down button for iPhone 7 and iPhone 7 Plus) buttons for at least 10 seconds, until you see the Apple logo. Instead of doing this manually or you worry about incorrect operations can lead to malfunction, I recommend you to use a free iPhone reboot tool - Tenorshare ReiBoot. By getting in and then getting out of recovery mode will force an iOS device to restart. If updating via OTA pops up error "Not connected to the Internet" even though you are connected. Resetting the Network settings suppose to relieve this issue. Go to Settings > General > Reset > Tap on Reset Network Settings. Tip 3. iOS 10.3 Update Not Working on iPhone 5c, iPhone 5 or 4th Generation of iPad? Some iPhone 5 and iPhone 5c users reported that there is no update available when they go to Settings > General > Software Update to try updating to iOS 10.3 via OTA (over the air). The 5, 5C, and iPad 4 are the last iDevices to use the A6 system-on-chip and the last built with a 32-bit architecture. Consequently, the 32bit version releases later than the 64bit version for OTA updates. Wait for some more days to update via OTA or I suggest you connect your iPhone to iTunes to get immediate access to the iOS 10.3.1 update. If you get the error unable to verify update when trying to install the newest iOS update 10.3.2/10.3.1 on iPhone 6/6s or iPhone 7/7 Plus directly, you can try updating your device via iTunes. Stuck on Verifying Update, Apple Logo, Endless Reboot? If your iDevice gets stuck during or after update, such as freezes at verifying update or apple logo, I suggest you repair the operating system with Tenorshare ReiBoot. Tenorshare ReiBoot will fix the stuck and update your iPhone to latest iOS without losing data. Step 1. Connect your device to computer and choose Fix All iOS Stuck in Tenorshare ReiBoot. Click Start. Step 2. Tenorshare ReiBoot provides the latest firmware ready for downloading. Step 3. Download the latest iOS firmware and follow the process to repair the system. When the system is repaired successfully, your iPhone will update to latest iOS with no freeze or crash. Here we summarize the useful tips and tricks to fix iOS 10.3/10.3.2/10.3.1/11 won't install problems. The new iOS works like a charm, with better battery life, runs faster and feels more responsive.